Some Android users wants to use the blackberry subscription on their Smartphones because of the reduced charges attracted to it, So today this will show you on how to you are going to use such subscriptions on Android devices by changing the IMEI numbers of your Android Smart device to that of a blackberry. When it comes to changing your android IMEI number to Blackberry IMEI number, there are lots of methods which can be used to do it which can be on PC or just on your Android device. So if one method doesn't work for you, you can easily try another one. Note: you do not need a Pc to Change your Imei number. 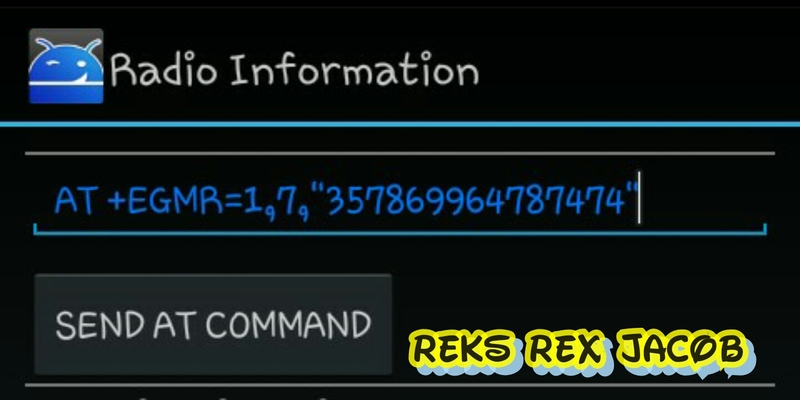 Firstly, download BlackBerry IMEI generator RAR file from HERE to your PC, unZip it and copy three .sys file to a new folder on your desktop, double click on the GIPv4.1 exec file and choose the Generate button. Copy or better still write down the generated BlackBerry IMEI number for latter use. If you don’t have a PC or finding it difficult to generate BlackBerry IMEI on PC, here is another way to do it without any stress at all.Only download and install the BlackBerry IMEI Gen apk file HERE, go to your app menu and look for the just install app and click on it to launch. This is how to change IMEI number on a single-SIM enabled Android phones using Terminal Emulator. 1. Download and install Terminal Emulator to your Android phone. You can download it from Google Play Store. This method has been tested and proved to work on MTK Android Phones, or MTK chipset powered Android phones, e.g., Tecno Android phones, Innjoo phones, earlier Infinix phones and more but will not work for non-MTK Android devices like Samsung, Nokia, and some Infinix phones. Be sure you are using an MTK device, you can be sure by using a benchmark app. Firstly, You should copy out the IMEI numbers and save it somewhere safe, in case you want to change the IMEI number of your phone back to the future. 1. Dial *#7465625# or *#*#3646633#*#* to bring out a secret menu. Depending on which device you use. How To Change Android IMEI Number Using Mobile Uncle Tools. Go to Engineer mode in mobile Uncle tool. Here you can see a command line with AT +EGMR=1,7,"……..”. if you want to change the the phone 1 IMEI just use this option. Now that's it we are done… now you can restart the phone and enjoy your new IMEI number.